Ethiopian Airlines stands as a bastion of success above an African landscape of failed state-owned entities. Wholly government owned, yet, despite economic hardship and administrative problems and barriers, the airline was never rescued by the government; it had to either fold or succeed on its own merits. Ethiopian Airlines, through accountable management and a smart, integrated vision and business-plan, has earned true pride; this is in stark contrast with the pride the South African government has tried to manufacture in SAA, the recipient of one bailout after another. 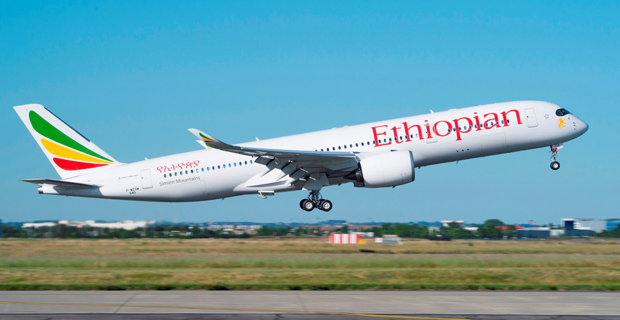 Since 2000, Ethiopian has engaged a process of fleet renewal. From its HQ in Addis Ababa, the airline serves a network of 125 passenger destinations (20 of these are domestic). It has secondary hubs in both Togo and Malawi. Ethiopian is the largest and fastest growing airline in Africa. To counter the spread of Emirates throughout the African continent, Ethiopian implemented a 15-year strategic plan called Vision 2025, with the aim of establishing seven business centres, which will include an academy, cargo services, and an Airports Enterprise. Despite the dominant Marxist socialist ideology that prevails in the country, Ethiopian bought Western aircraft instead of inferior, unreliable Soviet planes. Ethiopian’s business decisions have never been based on political grounds; the growth of the business serves as the basis for decisions such as staff appointments, aircraft and services acquisitions, and the establishment of new routes. As a matter of principle, a government should never own entities such as airlines. This opens the door for cronyism and corruption, as well as distorting the proper functions of a market, because governments use force in various forms to dissuade competition and prop up ‘businesses’ which, if left to the market, would deserve to fail. Ethiopian is the best example of how involved a government should be in a state-owned enterprise: zero. In South Africa, state-owned enterprises enjoy the benefit of taxpayer bailouts when they fail: eg. SAA. Given the number of bailouts and rescues that have been granted to SAA, the management has never had any reason to be accountable and responsible, never mind the notion of making the airline profitable. CEOs have come and gone, always with large payoffs and benefits included in the package. There has never been serious talk of privatisation; the company has been allowed to wallow in mismanagement and a constant decline of services, and each time when push comes to shove, the tax money paid by productive, hard-working South Africans has been used to prop up an entity that should have folded a long time ago. The South African flag adorns all of SAA’s aircraft. But can we say, after seeing time and again the state in which the airline finds itself, that the flag proudly adorns those aircraft? There is no reason to be proud of SAA. South Africans ought only to be proud of themselves, of how hard they work and that they produce so much in taxes that the South African government can continually waste it on failed enterprises. Ethiopian competes both across Africa and on other continents. It would have been very easy for the airline to roll over in the face of Emirates’ expansion, or for the Ethiopian government to artificially ‘help’ it when it was ailing. However, they recognised that such an attempt would only delay the inevitable: closure, as must happen with SAA. Ethiopian can proudly stand on its own as a successful and expanding enterprise because it has earned that position. There is nothing admirable in the artificial life that our government continually tries to force into SAA’s lungs.